Your perfect fence isn’t the same as anyone else’s perfect fence. Each home and yard is unique, and so are each family’s preferences. To ensure that you’ll be satisfied with your fencing for years to come, invest plenty of time into researching your choices. The professionals can come out to your property and discuss your goals for the outcome. Their advice will guide your decision-making process. Privacy is a major concern for many homeowners living in suburban and urban areas. Either a wrought iron fence or a chain link fence can add privacy to your property. After it’s installed, plant shrubs and climbing plants along the fence. The greenery will enclose your yard in the beauty of nature. If security is your primary concern, then you can have the fencing company install a gate across your driveway to completely enclose your property. 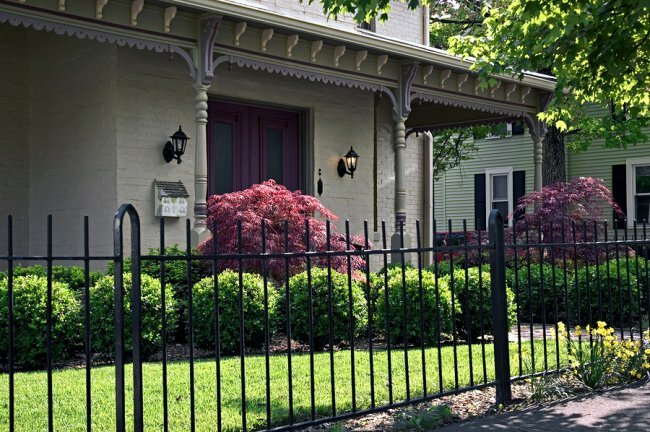 Ornamental iron fences and gates are ideal for improving your family’s security. Consider choosing an iron fence that features spikes along the top to discourage climbers. Some families are more interested in ease of access than security. Instead of a gate, consider using offset fence panels. Staggering individual panels can strategically conceal your home and yard, while still allowing easy access through the property. Regardless of your primary motives for having fencing installed around your property, you’re undoubtedly also concerned with the home’s aesthetic appeal. 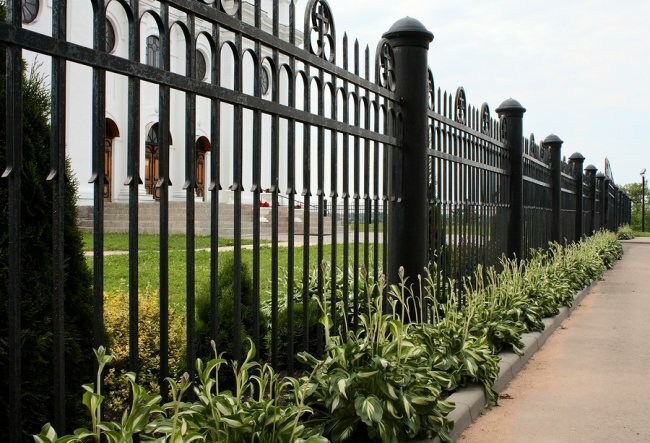 Arguably, the most beautiful type of fencing is ornamental iron. You can choose from a wide range of ornamental fence designs to complement the style of your home. Pet parents tend to prioritize the security and safety of their furry companions. 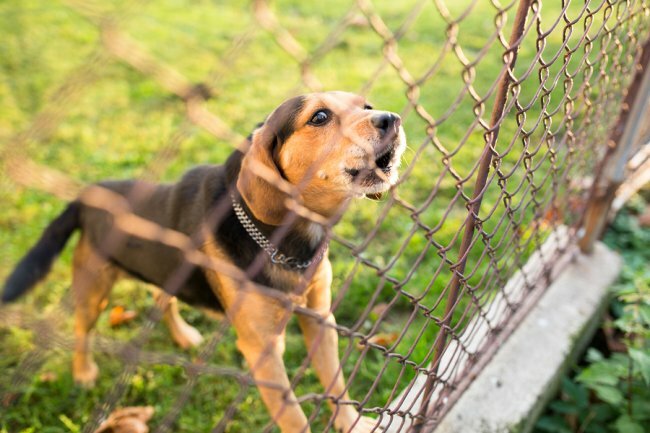 Chain link fences are ideal for keeping dogs inside the yard, or within a specially designated dog run. Chain link is also a good choice for keeping backyard chickens safe from predators, especially if it extends below the ground. No matter what your needs and preferences are, we can help you find the perfect fencing solution for your home in San Jose. A-1 Fence Inc. is locally owned and operated, with over 40 years of experience. Call (408) 259-2955 today to request your free estimate. Not all fences are alike, so you should think about what you’re looking for in a fence before you choose yours. Most people consider the look of the fence, what it takes to maintain it, and how long it should last. Keep reading and learn how to pick the perfect fence for your needs. Some people use fences to outline their property, meaning these structures might be the first elements that people see as they walk or drive by. For this reason, you should choose a fence that you find appealing. Your new fence can make a huge impact when it comes to your curb appeal, but that impact can go in either direction—the wrong choice can take away from your design, while the right one can amplify it. A cosmetically pleasing fence may also make your neighbors happy and even raise your property value. Certain types of fences are much easier to maintain than others, so keep that in mind when you’re looking through your options. 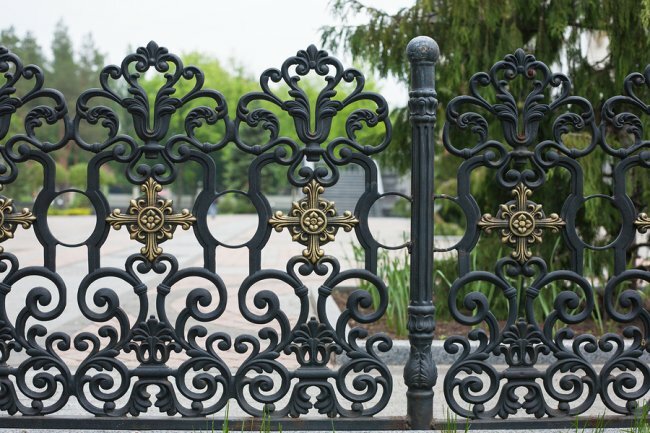 Wrought iron gates tend to be easy to maintain, and they also offer a great boost to your curb appeal. Try not to pick a fence that needs a great deal of maintenance if you don’t think you’ll be able to provide the necessary upkeep. Fences that don’t need much maintenance tend to be the more durable ones. If you don’t want to have to worry about repairing or replacing your fences any time soon, choose a material that is designed to hold up over time. Iron fences are great for this purpose as well, as they are durable enough to stay standing for years and years. Durable fences are also more difficult to break through, which improves the security of your home. Are you in need of a quality iron fence in San Jose? Call the fencing professionals at A-1 Fence Inc. at (408) 259-2955. 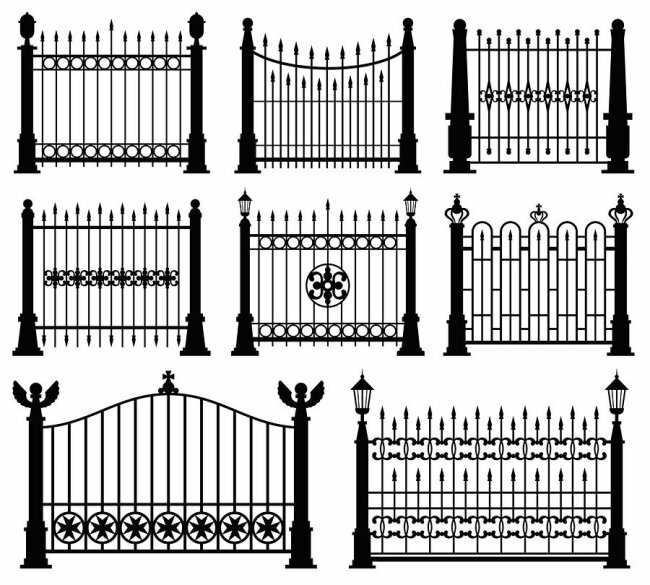 We offer driveway gates and pool fences in addition to fencing equipment and hardware. Stop by and see us or head to our website to learn more about what we do . As beneficial as a new fence can be for your home or place of work, there are some factors to consider before you get the installation process started. Think about why you want this home addition, where you can keep your pets during installation, and how the composition of your property comes into play. Read on and learn what you should know before installing a new fence. Even if you’ve never purchased a fence of your own before, you’re probably aware that there are many options to choose from. You should never rush your decision when making a significant investment, so think about what made you decide to get a new fence in the first place. It pays to consider the pros and cons that different options can offer. If you’ve done your research but you’re still not sure which type of fence is right for you, you can ask the professionals for help. Pets and young children tend to be sensitive to their environments in certain circumstances, which is why moving to a new home can be challenging. If you’re putting up a new fence on your property, it might be a good idea to keep pets and children away from the area until the project has been finished. They might not fully understand what’s going on, which could make them agitated or anxious, so consider keeping them distracted inside the house. It’s a good idea to take a walk around your property and look for any obstacles that might get in the way of a new fence installation before you’re underway. Anything from a misplaced basketball hoop to undesirable soil conditions can complicate the fence installation process, so tackle these elements beforehand. When you’re ready to install a new fence in San Jose, don’t forget to call A-1 Fence Inc. at (408) 259-2955. It’s our job to help you choose the perfect pool, driveway, or dog fence for your property. Check out our website to learn all about our services . A new fence can dramatically alter the style and layout of your property. 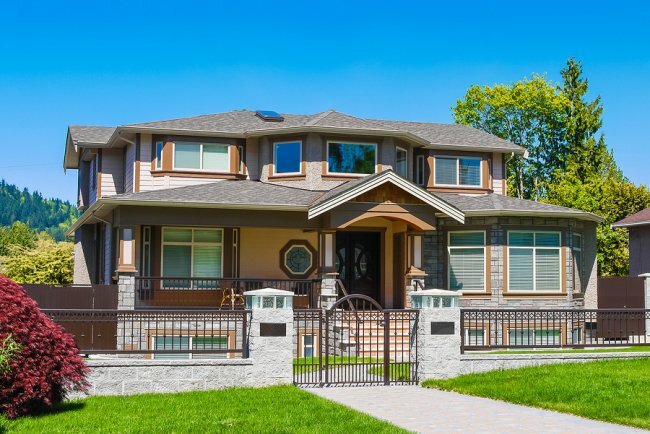 When you have decided that you are ready for a new fencing installation, it is essential to do your research about the different fence styles and materials that are available for your home. By taking the time to gather information about fence materials, you can rest assured that you have made the right choice for your fence design. Here are some ways that you can make an informed decision when selecting a new fence. In order to achieve the best results from your fence installation, you should start by carefully considering why you are choosing to install a fence in the first place. While some fences are primarily designed for additional security, other fence styles are more decorative. By evaluating your reasons for installing a fence, you can design a fence that meets your needs for function and design. As you are picking out a new fence for your yard, you will also want to gather information about the maintenance requirements of your fencing materials. While a wooden fence will require yearly maintenance and upkeep, an iron fence will stand for decades before it needs major repairs. Before you embark on your fencing installation, it is very important to take the time to consult with your Homeowners Association or other local authorities. Your Homeowners Association may have specific rules and regulations regarding the height, style, and placement of your fence. By following these regulations, you can avoid receiving a fine. Once you have chosen the right fencing for your property, get in touch with A-1 Fence to being your fencing installation project. We offer quality fences in San Jose, and our team can help you design a wrought iron fence that meets all of your specifications. Give us a call at (408) 259-2955 to get started on the fence design process. When choosing climbing roses for your fence, look for a complementary color that will stand out against the chain link or wrought iron. Once you’ve found a rose plant, you can begin the planting process found in the attached video. Read on for more information about planting a climbing rose bush. Dig a hole that is twice as wide as the pot. Keep healthy dirt from the hole and mix it with fertilizer, peat moss, and phosphate before placing the unpotted rose bush in the hole. Fill the hole with the remaining dirt by hand to ensure that there is no damage to your bush or fence. As the bush grows, use plant-safe tiedowns to secure it to your fence panels. A-1 Fence Inc. is dedicated to our customers’ property and fence designs in San Jose . Call us at (408) 259-2955 to start designing your new fence and landscaping today. A fence is a fantastic addition to any yard. When you are considering installing your very first fence, it is a great idea to gather as much information as possible about the different types of fencing that are available for your property. A company that offers fences in your area can help you decide on a fence installation that is perfect for your needs. Read on for a look at a new buyer’s guide to selecting a fence. When you are shopping for a new fence, it is very important to start the process by considering what function you want your fence to play on your property. For example, a picket fence will be a decorative addition to your property line. If you are seeking additional security or privacy, you may want to consider fence designs that are taller in height and built from sturdier materials. As you are gearing up for your fence installation, you will have several different fence materials to choose from. Each type of fence offers distinct advantages. A wooden fence will provide your home with timeless appeal, but may require more maintenance. When you install a vinyl or aluminum fence, you will be treated to a sturdy fence that requires almost no maintenance at all. A reputable fence contractor will be able to walk you through every step of choosing your fence materials, designing your new fence, and installing the final product. With assistance from a fence contractor, you will receive knowledge and wisdom throughout your fence building process. When you are seeking a new fence in San Jose, be sure to contact A-1 Fence Inc . Our team provides quality fences in gates to customers throughout the local area, and we will be thrilled to help you build your first fence. Call us at (408) 259-2955 to set up a consultation for your new fence installation. Once you decide to add a fence to your property, the next step is picking the right fence for your home. Start by considering why you want a fence in the first place. Is your goal to create an area where your kids and pets can play, or do you want to make your home’s exterior more stylish? Does your HOA have any rules you need to consider when picking a fence? These questions and more can help you narrow down your selection so you find the perfect fence for you. At A-1 Fence , we offer chain link fences and ornamental iron fencing in San Jose that can be adapted to work with any homeowner’s design ideas and preferences. Learn more about picking a fence and the benefits of wrought iron and chain link fences in this Infographic, and contact us when you’re ready to get started on your fence design. Please help other homeowners by sharing this information. When you install new fencing on your property, you can rest assured that your fence is durable and built to withstand many different scenarios. In the event that your fence becomes accidentally damaged, your fence contractor will provide you with prompt repair services. To help you avoid the need for emergency fence repair, here is a look at how you can protect your fence from some of the most common types of damage. When a storm strikes in your area, your fence could be at risk of becoming significantly damaged. To help protect your fence from the types of damage that can occur during a storm, you will want to keep your property properly maintained at all times. Cleaning up fallen branches and other forms of debris will help to ensure that your fence is not bombarded with flying materials during a storm. Most fences are not designed to support the weight of animals, children, or other forms of weight. When a child attempts to climb your fence during playtime, he or she could cause it to buckle or break. To prevent accidental wear and tear, and to protect the safety of your children, you will want to instruct your kids to never play on or around your fence. If your fence is located near a road, you will want to take any steps that are needed to prevent a vehicle from accidentally hitting your fence. Displaying proper signage can help drivers see your fence more easily, thereby helping to prevent an accident. You may also consider painting your fence in a bright shade that promotes better visibility. If you have questions about fence maintenance and repair , be sure to contact A-1 Fence Inc. by calling (408) 259-2955. We specialize in quality fence designs and gates in San Jose, and our team can help you maintain your fence to perfection. Call us today to schedule repairs for your broken fence. When you decide to install a new fence around your property, there are a few factors that can help you choose the right fence. Determining your fence’s purpose and level of maintenance are going to be the biggest factors to what kind of fence you choose. Continue reading to learn more. The most important factor you must remember when choosing a new fence is based on the purpose of the fence. Is your fence going to be used for decoration, security, or privacy? Determining the purpose of your fence will help you choose which fencing material to install, and it will help you decide on its shape, size, and design. For example, an ornamental wrought iron gate is great for decorative purposes, but it can also be combined with other materials to create a sufficient privacy fence. Before you choose any new installation for your home, consider the future maintenance you will have to do. Your fence will have maintenance, just like the rest of your house. For the most part, chain link and wrought iron fences require very little maintenance. You simply need to clean them occasionally, and ensure they are free from excessive moisture or plant life that could cause rust and damage. If you live in a neighborhood with a homeowner’s association, also called an HOA, then you need to check with the governing board before installing a new fence. Many HOAs have strict rules and regulations regarding what can be placed in your yard, including a fence. Depending on the HOA, you may be able to explain your reasons, and they may allow you to have a fence installed. Are you looking for a new fence in San Jose ? You can call A-1 Fence Inc. at (408) 259-2955 to get your free estimate right away. We specialize in ironworks and creating beautiful, strong fences for our customers. Give us a call, so you can join our family of customers and become a proud owner of a new fence. As a pet lover, you want to do everything you can to keep your furry family members safe. Safety is particularly important if your pets frequently go outdoors. Unfortunately, there are a lot of potential dangers outside, including cars and wildlife. Installing a dog fence on your property can help keep your pets safe in addition to providing you with more privacy and enhancing your outdoor décor. Here are a few ways your fence contractor can help protect your pets. If you let your dog or cat go outside unsupervised, they’re probably going to explore. This can be very dangerous, even if you live in an area with low traffic. For one, there’s a greater chance that your pet will get lost. Installing a chain link or wrought iron fence will keep your pet safely on your property. You’ll just need to make sure that the fence is too tall for them to jump over. Of course, there’s always the possibility that danger could come to your yard in the form of a raccoon, feral cat, or other type of wild animal . These animals can harm your pet in a fight, or even transmit rabies. Though some animals may be able to jump over a fence, it’s still more of a deterrent than no fence at all. A fence should keep your pet safe during the day; it’s a good idea to bring your pet inside at night to prevent a nasty encounter. As a pet owner, you have a responsibility to keep your pet safe and keep others safe from your pet. Installing a fence on your property will prevent your dog from running out into the street, and will also protect passersby from harm. Even if you have the sweetest dog in the world, there’s always the possibility that he can cause a personal injury, for which you may be deemed liable. Whether you’re looking to keep your pets safe with a chain link fence or a wrought iron fence , the experts at A-1 Fence Inc. can help you out. We’re happy to install top-notch fences throughout the San Jose area. Call our office at (408) 259-2955 if you have any questions.